You might remember last month when orcas ate an enormous great white shark’s liver, Hannibal Lecter style, in South Africa. It seems the killer whales have decided, why stop there? Why not take the testicles and stomach, too? 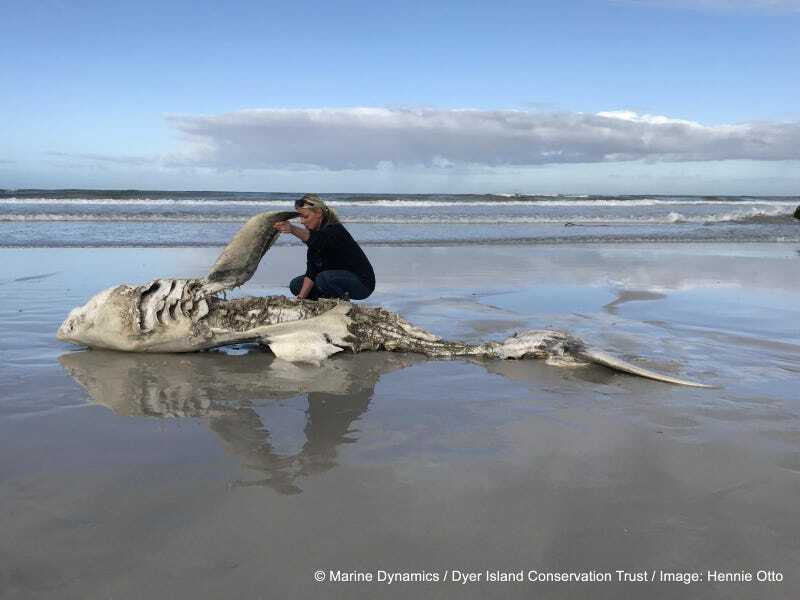 The Dyer Island Conservation Trust, a South African conservation program, was called in to investigate a shark carcass, or as I will call it, a sharkass, that washed ashore this past weekend. The scientists confirmed it as the fourth instance of a great white shark becoming orca lunch since this past May, according to shark tour company Marine Dynamics SharkWatch SA blog. Here’s another picture of the half-eaten 4.1 metre (13.5 foot) meal. As we’ve reported, there have been a few notable instances of orcas eating great white sharks before, like this 1997 orca-on-shark attack off the California coast. 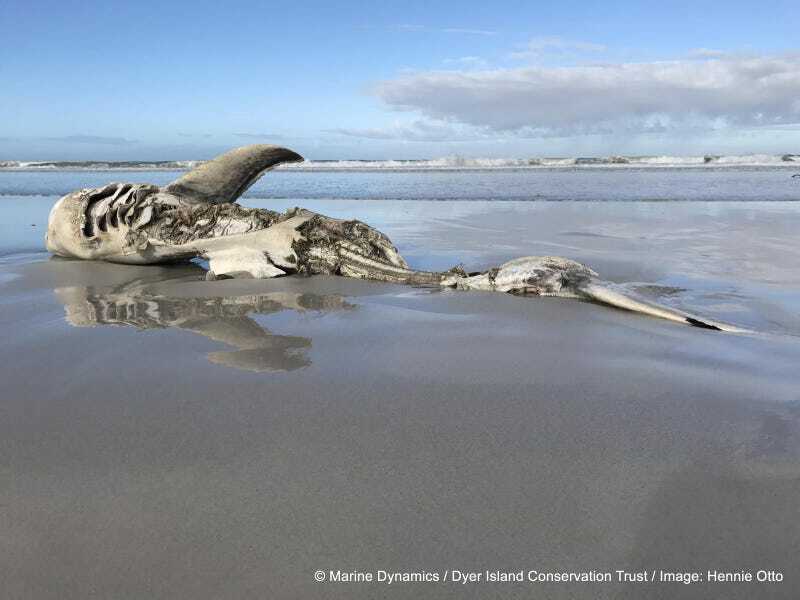 But in an incredible series of events, half-noshed great whites have been washing up on the Gansbaii beaches in South Africa since May. In previous instances, the whales opted for the sharks’ livers. This time around, they ate the stomach and testicles, too. The livers, at least, contain the nutrient squalene, which could be a reason the orcas opt for that organ, specifically.